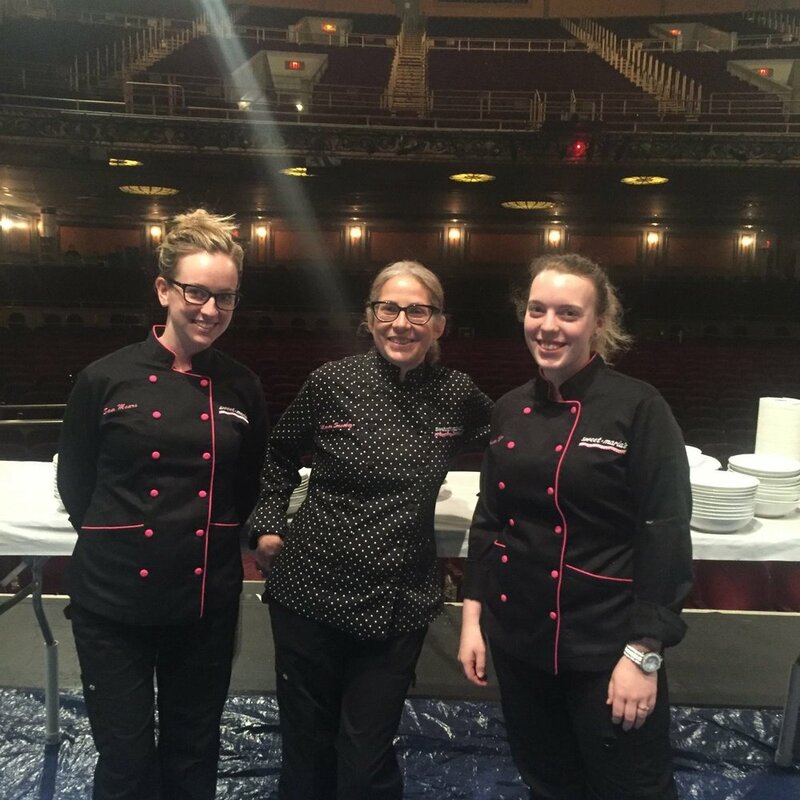 Last year I was honored to be asked to prepare the dessert course for the Stages wine dinner at the Palace Theater. This annual event is the local chef event of the year. My awesomely talented "cheffy" ( is that a word?) friend Jerry Reveron finally convinced the planning committee to include me in the program. This was the year.. Most times I don't really consider myself a chef. Sure, I make a pretty mean biscotti and some amazing whipped cream cakes., but the chef world is a world were I am often intimidated. Very strict in their rules, procedures, traditions and pristine white chef coats. I ended up in the culinary world almost by accident via good home cooking and on the job bakery training. I have to think I've earned my coat by sheer number of hours in the business; 14 to 16 hours a day sometimes for the past 27 years. For this special night I pondered what to bake that would be a showstopper.... certainly not a very berry! It had to be "cheffy"! Supporters of the theater pay big bucks for a 7 course meal, each prepared by an amazing chef, paired with appropriate wines. Courses are prepped and plated on-stage at the Palace then served to guests seated in the opulent lobby. Each chef must talk about their course to the patrons when served. All the chefs in the meantime help each other plate their course . What a line up : Chef Prasad Chirnomula from Thali, on appetizers, Chef Jerry Reveron on the fish course, Billy Grant on pasta ( could he put down his phone to plate pasta? ), Nicola Mancini of La Tavola fame on the meat course. Then me, plus my multi-talented pastry chefs Kellie, Kristin and Sam on dessert. The girls and I took this stuff seriously. We worked the line, chef coats on, squeeze bottles in hands, and plated to each chef's specifications. One squirt of sauce , a watercress garnish, "yes chef"... we got this! Service was a great rush, much like a busy Saturday at Sweet Maria's. Everyone working to make it happen. No "cheffing" for us this year, but try not miss this showcase of the area's finest chefs in the most show-stopping venue in town.